It’s been over half a month now since the roadblock at Ossay on the Gelegphu-Zhemgang highway occurred. The road is yet to be cleared to traffic. It has caused problems not only for the travellers but also the shopkeepers and other businesses in Zhemgang. While roadblocks are common at Ossay during monsoon, Zhemgang business community says the current block is the worst ever. They are transporting goods via Panbang and Nganglam, which entails them additional expenditure. “We have to pay Nu 8,000 to Nu 10,000 extra in hire charges,” Dawa, a shopkeeper, said. Another businessperson, Japha Dorji, said it’s about time something is done to solve the problem once and for all. “They do nothing in winter and when summer arrives, the problem crops again,” he said. The business community said it is also less secure to transport goods via Indian highway. 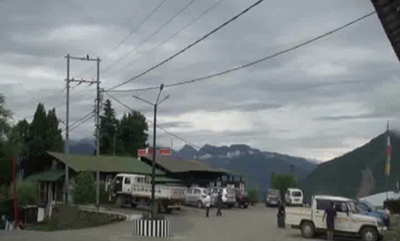 “It’s particularly risky to travel at night, whereas if the Ossay block is cleared, we can move in and out anytime,” Tashi Tshering, a trucker, said. Apart from Zhemgang, the roadblock has also affected those in Jigemecholing, Sarpang and Langthil in Trongsa. The Department of Roads (DoR), meanwhile, says the Ossay road stretch has become dangerous even for its workers. 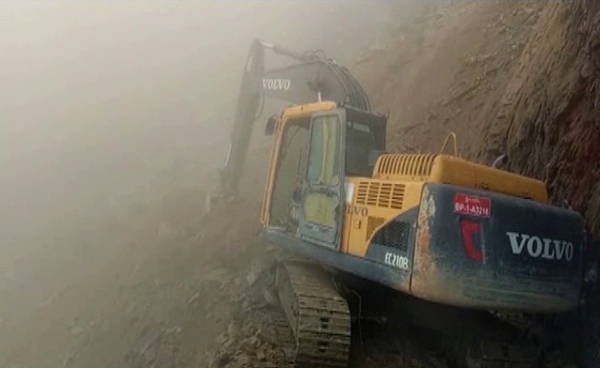 An excavator operator was hit by a falling boulder while carrying out road clearing works recently. The operator had to be admitted to hospital. DoR officials say if the weather favours, the road would be opened to traffic in about a week’s time.